The widespread use of paper and printing were features of ancient China which distinguished it from other ancient cultures. Traditionally, paper was invented in the early 2nd century CE, but there is evidence it was much earlier. 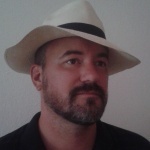 As a cheaper and more convenient material than bamboo, wood, or silk, paper helped spread literature and literacy but it was used for many other purposes from hats to packaging. The material was made finer over the centuries, was traded across Asia and was used in the first paper money from the early 12th century CE. There is ample archaeological evidence of primitive paper types from the 2nd century BCE in China, largely using hemp. It is believed that the invention of this early form of paper was accidental after clothes, which were made of hemp, were left too long after washing, and a residue formed in the water which could then be pressed into a useful new material. The traditional date for the invention of more refined paper has long been 105 CE. Cai Lun, the director of the Imperial Workshops at Luoyang, is the one credited with creating paper by using soaked and then pressed plant fibres which were dried in sheets on wooden frames or screens. Cumbersome bamboo or wooden strips and expensive silk had been used for centuries as a surface for writing but, after much endeavour, a lighter and cheaper alternative had finally been found in the form of paper scrolls. Over time different fibres were experimented with to make paper, and so the quality had greatly increased by the end of the Han period (206-220 CE). Fibres from many different plants, the stems of grasses, vegetable matter, hemp, tree bark, and even rags were used and blended in a constant quest of experimentation to find the cheapest mix of materials which produced the highest quality of paper. Rattan replaced the early hemp paper and was favoured for centuries until it was replaced by bamboo fibres as the most common raw material from the 8th century CE. One of the reasons for rattan’s replacement was that the demand for paper was so great the slow-growing plant had almost been wiped out in certain regions of China. Bamboo grows much quicker than hemp and so was a significantly cheaper option. From the Song Dynasty (960-1279 CE) paper production techniques became even better and the main raw material was now the boiled bark of the mulberry tree. Chinese paper was of such high quality that it was traded to foreign states along the Silk Road. Sheets of paper came in all sizes and many colour shades. Materials, techniques, and preferences varied from region to region, but there were helpful treatises written on the subject, the earliest being by Su I-chien (957-995 CE). Special paper with an appealing texture, pattern or colouring was reserved for calligraphy and art. These paper types were made using rice, wheat straw, sandalwood bark, hibiscus stalks, and even seaweed. An image of a Ming dynasty woodcut showing the main steps in the ancient Chinese papermaking process as outlined by Cai Lun in 105 CE. The Chinese were naturally rather secretive about their papermaking skills, just as they were with silk production but secrets rarely remain so for ever. The outside world, or at least the world west of China, acquired the knowledge of paper manufacturing in the 8th century CE (or plausibly even earlier). The trigger was when a group of papermakers were taken prisoner by their Arab victors following the Battle of Talas. Soon Baghdad would become a major producer of paper, and Medieval Europe, too, would eventually produce high-quality paper of its own. The invention of paper greatly helped the spread of literature and literacy, making books more convenient to use and cheaper. Scholars at the Imperial academies were issued with thousands of sheets of paper each month by the government. Further, the combination of brush, ink, and paper would establish painting and calligraphy as the most important areas of art in China for the next two millennia. With the invention of block printing – either in Korea or China and perhaps in the 8th century CE – the demand for paper rocketed, especially from Buddhist scholars and temples. In the 10th century CE, when there was the Neo-Confucian revival, the printing of Confucian classics positively boomed. With the invention of moveable type printing, from the 11th or 12th century CE, paper needed to be thicker to resist the heavy metal blocks of type, but the two inventions – press and paper – would revolutionise communication and remain unchallenged as the means to send and store information until the arrival of the computer. Paper was so highly valued in ancient China that it was used to pay tribute and taxes to the state during the Tang dynasty (618-907 CE). The Tang also imposed a colour code on the use of paper, with white paper being reserved for legal documents, yellow for government purposes, and blue for communications with Taoist temples. Besides its use for writing and books, paper was used to produce topographical and military maps from the Han dynasty onwards. Drawn to a reasonably accurate scale, they included colour-coding and symbols for local features and included specific areas of enlarged scale. Other uses of paper included as packaging for delicate items such as medicine and as wrapping paper, especially for parcels of tea. Paper was widely used to make hats, stiffened it was used for armour, and thinned it could be used for windows. There were paper screens, sheets, curtains, clothes, and, eventually, money. Following increases in trade, the system of barter, or the exchange of one material for another, was replaced by a system where one particular commodity came to be a common form of payment. In China rolls of silk or gold ingots could be used to pay for any other type of goods. For smaller exchanges metal coinage was used, first in the shape of tools, then in the form of more convenient small coins. As trade and the number of people involved in it grew ever larger, an even more convenient method of payment was sought. Another problem with coinage was the sheer quantity of copper required to make enough coins for the economy’s needs. Paper money of a sort first appeared during the Tang Dynasty. The development sprang from merchants relying on paper documents. This was especially so for tea merchants, one of China’s best-selling commodities. Merchants were wary of carrying valuable ingots to and from the state treasury and so preferred to use receipts instead. These paper documents allowed a merchant to make or collect his payment in any local treasury and so they became known as ‘flying money’. This first form of paper money was not actually much of a success and, for larger transactions, merchants still preferred the greater security of silver ingots. The ideas was a good one, though, and paper money made a comeback in the 11th and 12th century CE. 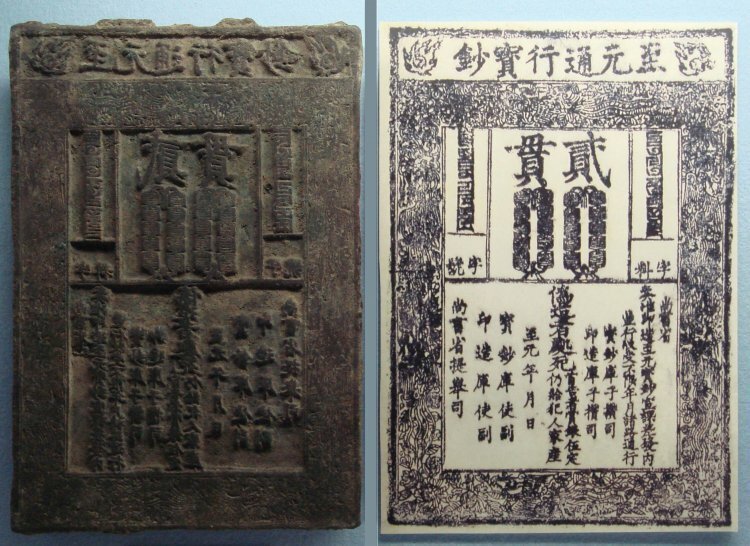 In the 11th century CE in the Szechwan province, the use of heavy iron coinage necessitated the wealthy to leave their money in state deposit houses where it was more secure. Around 1023 CE, in order to indicate what money they had on deposit, people were issued with a paper certificate by the Song government. These certificates could also be used in transactions instead of physically moving the coinage. By the 12th century CE merchants elsewhere in China were again using more convenient paper receipts for their transactions instead of heavy bags of coins. 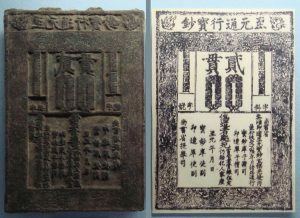 These, in turn, led to the development of paper money around 1120 CE when the Chinese government established a monopoly on the issue of such receipts, in effect, creating the world’s first banknotes. By 1260 CE the paper money had become what we would today call real banknotes – they could be kept for as long as one wished, used across the country to make purchases, and converted into gold or silver at any time. Paper money still had its problems, though. Despite the precautions described by Marco Polo, paper money was just as likely to be counterfeited as coins were. The biggest blow came with high inflation. This was so rampant that paper money quickly became worthless and all but disappeared. A brief return during the Ming dynasty (1368-1644 CE) was again ill-fated and the wide circulation of reliable banknotes would only become a reality in 1866 CE when they were issued by the Hong Kong and Shanghai Bank. This entry was posted in Art History, China, History. Bookmark the permalink.